"A person should never avoid information about health or finances because information can never hurt a decision." 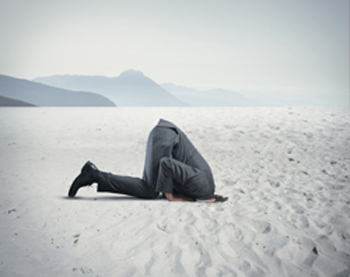 I listened to a Hidden Brain podcast this week: The Ostrich Effect: We Shouldn't Stick Our Heads In The Sand, But We Do It Anyway." It immediately resonated with me as I have been contemplating how I can better assist others in eliminating toxins in their life and taking control of their health, both short and long term. I hear from many women and moms that they are just not feeling WELL. They are tired, have digestion issues that they have just accepted, have headaches, migraines, and other auto-immune issues. It is true that we can not pour from an empty cup, yet that is what many of us are doing in our daily "grind". As stated in the podcast, "avoiding information doesn't mean you're a fool, it means you're human". Research shows it can be difficult to process negative information because it seems too overwhelming or it can make us despondent. It seems like everyday there is "news" about something deemed toxic, or harmful, or grave environmental concerns. Unfortunately it is the current state of our world, BUT we can become empowered instead of fearful. We can make a few changes in our lives that can lead to feeling better, happier, and help us live longer lives. We CAN focus on adding in more healthy and nontoxic food, items, people into our lives. Health is not a topic to ignore information about but fear tactics are leading Americans to do just that. Maybe you can ignore the fear tactics and just agree to make one change towards a less toxic life. What step will you take? Will you introduce a new vegetable into your weekly cooking routine? Will you switch to glass storage? Or maybe a glass straw? Share photos of any small steps you have taken to #ecothriver. Small steps bring big changes!